Heres an oldie but goodie, appears to have had a solid repair. 1981 TRIUMPH Dolomite 1.8L CARB All (2 required). 1981 TRIUMPH Dolomite 1.5L CARB All (2 required). 1981 TRIUMPH Dolomite 1.3L CARB All. 1980 TRIUMPH Dolomite 1.8L CARB All (2 required). 1980 TRIUMPH Dolomite 1.5L CARB All (2 required). 1982 TRIUMPH TR7 2.0L L4 1 BBL. All (2 required). 1981 TRIUMPH TR7 2.0L L4 CARB All (2 required). 1980 TRIUMPH TR7 2.0L L4 CARB All (2 required). 1979 TRIUMPH TR7 122 L4 CARB All (2 required). 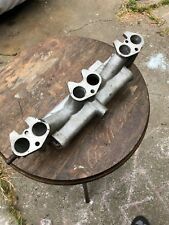 1978 TRIUMPH TR7 122 L4 CARB All (2 required). Triumph T150. Triumph trident BSA A75. Trophy 500. Triumph 500. We have over 15 years experience in motorcycle parts, select quality material made parts at much reasonable prices. Not washable and reusable dry air filter, suggest to replace with new one every 5,000 miles to ensure best performance. The engine types may include 1.6L 1597CC 98Cu. l4 GAS SOHC Naturally Aspirated, 1.6L 98Cu. l4 GAS SOHC Naturally Aspirated, 1.7L 105Cu. l4 GAS SOHC Naturally Aspirated, 1.7L 1721CC 105Cu. l4 GAS SOHC Naturally Aspirated, 2.0L 1995CC 122Cu. Air Filter Shape Panel. Product Style Panel Air Filter. Application specific base seal and sealing bead. They are custom engineered to fit your specific application and are designed to provide low restriction and increased performance, while providing excellent engine protection for your motorcycle. TRIUMPH TR7 0 1974-1974 Automotive Check item specific information. These filters are washable and reusable and are custom designed to fit into your existing factory air box. With most vehicles you simply remove the disposable air filter and replace it with a K&N. Air Filter Shape Oval. Product Style Oval Air Filter. 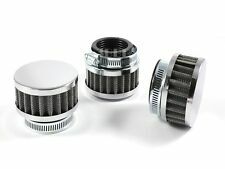 They are custom engineered to fit your specific application and are designed to provide low restriction and increased performance, while providing excellent engine protection for your motorcycle. Air Filter Shape Panel. Product Style Panel Air Filter. Application specific base seal and sealing bead. Washable & reusable, pre-oiled and ready to ride! They are custom engineered to fit your specific application and are designed to provide low restriction and increased performance, while providing excellent engine protection for your motorcycle. TRIUMPH Bonneville T100 110th Anniversary LE 865 865 2012-2012 Motorcycle Check item specific information. Air Filter Shape Oval. Product Style Oval Air Filter. They are custom engineered to fit your specific application and are designed to provide low restriction and increased performance, while providing excellent engine protection for your motorcycle. They are custom engineered to fit your specific application and are designed to provide low restriction and increased performance, while providing excellent engine protection for your motorcycle. Product Style Unique Air Filters. TRIUMPH Dolomite 2.0L CARB 2.0L CARB 1976-1976 Automotive Check item specific information. TRIUMPH Dolomite 2.0L CARB 2.0L CARB 1977-1977 Automotive Check item specific information. TRIUMPH Dolomite 2.0L CARB 2.0L CARB 1978-1978 Automotive Check item specific information. Air Filter Shape Panel. Product Style Panel Air Filter. Application specific base seal and sealing bead. TRIUMPH Trophy SE 1215 1215 2013-2013 Motorcycle Check item specific information. TRIUMPH Trophy SE 1215 1215 2014-2014 Motorcycle Check item specific information. TRIUMPH 2000 2.0L L6 CARB 2.0L L6 CARB 1976-1976 Automotive Check item specific information. TRIUMPH 2000 2.0L L6 CARB 2.0L L6 CARB 1977-1977 Automotive Check item specific information. Custom Racing Assembly. K&N universal air filters are washable and reusable. TRIUMPH Herald 70 L4 CARB 70 L4 CARB 1968-1968 Automotive Check item specific information. TRIUMPH Herald 70 L4 CARB 70 L4 CARB 1969-1969 Automotive Check item specific information. TRIUMPH Herald 70 L4 CARB 70 L4 CARB 1967-1967 Automotive Check item specific information. TRIUMPH Herald 70 L4 CARB 70 L4 CARB 1968-1968 Automotive Check item specific information. TRIUMPH Herald 70 L4 CARB 70 L4 CARB 1969-1969 Automotive Check item specific information. Air Filter Shape Trapezoidal. They are custom engineered to fit your specific application and are designed to provide low restriction and increased performance, while providing excellent engine protection for your motorcycle. TRIUMPH TR6 152 L6 CARB 152 L6 CARB 1969-1969 Automotive Check item specific information. These filters are washable and reusable and are custom designed to fit into your existing factory air box. With most vehicles you simply remove the disposable air filter and replace it with a K&N. TRIUMPH Spitfire 79 L4 CARB 79 L4 CARB 1970-1970 Automotive Check item specific information. TRIUMPH Spitfire 79 L4 CARB 79 L4 CARB 1971-1971 Automotive Check item specific information. TRIUMPH Spitfire 79 L4 CARB 79 L4 CARB 1972-1972 Automotive Check item specific information. TRIUMPH TR6 152 L6 F/I 152 L6 F/I Automotive Check item specific information. K&N universal air filters are washable and reusable. Oval Clamp-On Air Filter. Air Filter Shape Oval. Product Style Dual Flange Oval Universal Air Filter. TRIUMPH Tiger 800 XRx 799 799 2015-2015 Motorcycle Check item specific information. TRIUMPH Tiger 800 XRx 799 799 2016-2016 Motorcycle Check item specific information. TRIUMPH Tiger 800 XRx 799 799 2017-2017 Motorcycle Check item specific information. Air Filter Shape Panel. They are custom engineered to fit your specific application and are designed to provide low restriction and increased performance, while providing excellent engine protection for your motorcycle. Part #: 23840. We're working to build a state-of-the-art, online auto repair resource complete with the parts, people and information you need to stay in motion. If we don't have the answer, we'll find it and get right back to. Part #: 23840. At Proven Part Outlet we are here to serve you and make sure you're treated like family. Like family we'll be here for you when a problem arises. Part Number: 33755. The engine types may include 1.6L 1597CC 98Cu. l4 GAS SOHC Naturally Aspirated, 1.6L 98Cu. l4 GAS SOHC Naturally Aspirated, 1.7L 105Cu. l4 GAS SOHC Naturally Aspirated, 1.7L 1721CC 105Cu. They are custom engineered to fit your specific application and are designed to provide low restriction and increased performance, while providing excellent engine protection for your motorcycle. Air Filter Shape Round. Part #: 23840. You need to MOUSE OVER the left column to read the complete text.